Here I am going to share the testimonial of Nitesh Kumar who had undergone Post Graduate Diploma in Patent Law and Management from IIPTA. He is sincere and diligent individual with a degree of B. Tech. Working as Patent Trainee at Indian Institute of Patent and Trademark. Exhibits strong credentials to understand organizations objectives and requirements and thereby develop specific success metrics as well as design reporting and analysis approaches tailored to their unique needs. Possesses thorough understanding of patent language and scope of patent claims, according to country specifications. 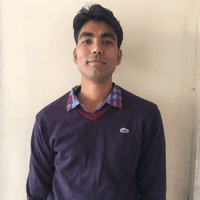 Nitesh has this classroom program from IIPTA and was very much satisfied after the classes which he undergoes under Patent Agent Mrs. Cheshta Sharma. He understood everything very well, and moreover was very much clear about the Program. He also got selected for the Internship process in IIPTA. Understanding of all aspects governing operational and production activities and up to date knowledge of latest technological advancements, regulations/ guidelines and statutory compliances in the industry. He believes in thriving in a deadline intensive environment, multi-task, perform under pressure and meet deadlines. He possesses ability to use sound judgment & decision-making skills and effectively perform in a self-directed environment. He has a good analytical, communication and presentation skills. Worked as an Area Sales Manager Prognosys Medical System. Contributing to sales figures, territory expansion and new account development. Remain focused on customer satisfaction throughout all stages. Experienced, Good presenter, negotiator and closer. To promote Digital Radiography system, X-ray machine and C-arm and generate lead.